A dog's owner is their master, a voice of authority they follow obediently. At least that's how it's supposed to work in an ideal world. 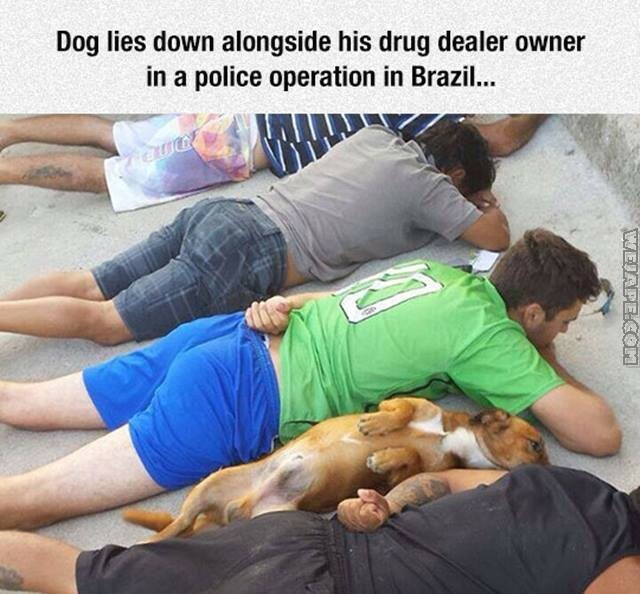 When that voice of authority is subject to an even higher authority (like the police) it kind of makes sense that a dog would follow their owner's lead.